I met with Laksha who founded the organization APSA (Association for Promoting Social Action). over 30 years ago. The Concerned for Working Children organization was once a part of APSA, but spun off into its own separate organization just down the road. 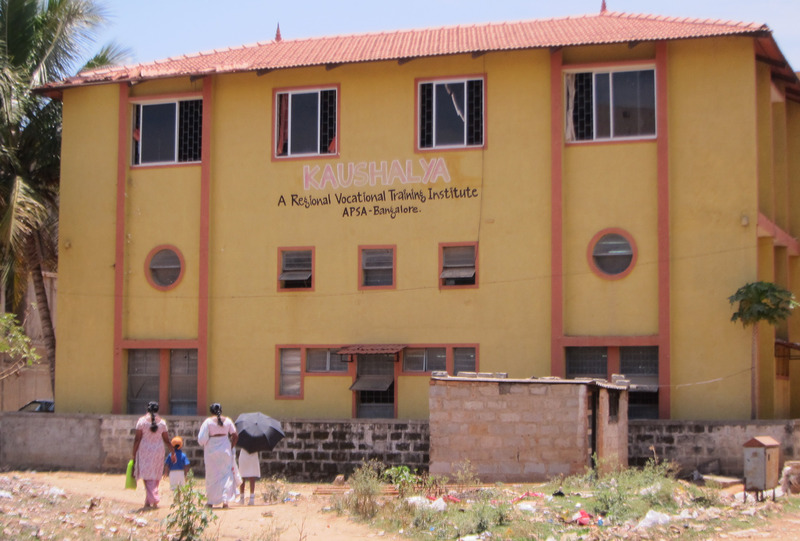 APSA was started when Laksha noticed as a student training to be a social worker that everything was controlled by local slumlords/corrupt local politicians that prevented the poor from getting the services that the government claimed to be providing. Exploitation occurred on a regular basis in the forms of ration cards, subsidies, identity cards and more. Welfare schemes were not reaching the poor. Below is a tent community that borders the APSA property (with my transportation and driver awaiting my return). As I spoke with Laksha, it was clear that APSA is a model of bottom up reform. Every issues is approached from a systemic viewpoint of identifying all of the stakeholders and developing mechanisms by which all stakeholders can dialogue together raising concerns and developing joint solutions. Each stakeholder must understand the rights and responsibilities of themselves and the others involved in the systemic issue.The organization works on child labor, children, youth, women, and the disabled. They seek to unionize and otherwise gain accomplishments through collective activities and through gathering information about how to achieve justice. 1) If anyone fell sick or on special occasions, the girl stayed home to do chores–to fetch drinking water, for festivals, when relatives came to stay. 2) Girls had little time to do homework because of household responsibilities. 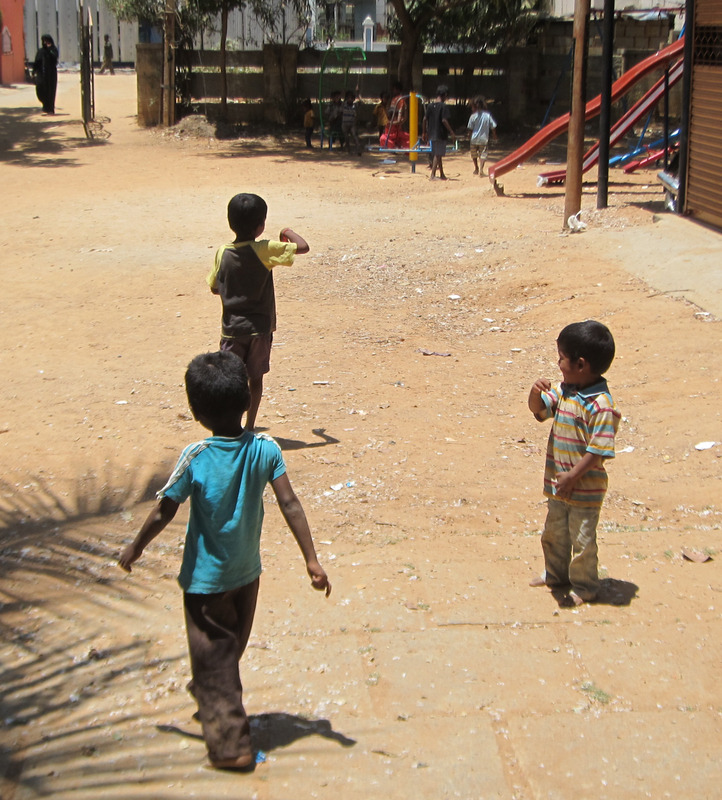 They then became embarrassed to go to school because they had not completed their work and thus would not go at all. 3) Girls would substitute for their mothers in labor situations such as housecleaners when mother could not go to work. APSA’s strategy is to give the statistics and information into the community and they decide what to do with the information. First they organized meetings with daughters and their mothers, including a discussion of what middle class families choose when the above dilemmas occur versus poor families. Then discussions were held with the other stakeholder groups– teachers and community leaders. Through ongoing dialogues a mutual understanding on reasons that girls did not attend schools and a shared commitment to send girls to school occured —a shift in norms, values and shared commitments. APSA also runs model schools on its property. The Dream School hosts 120 children ages 10-14, the dream school aims at bridging children into government schools who haven’t been going to school. The school is meant to be a model to the state by demonstrating needs to be a space for age appropriate education. 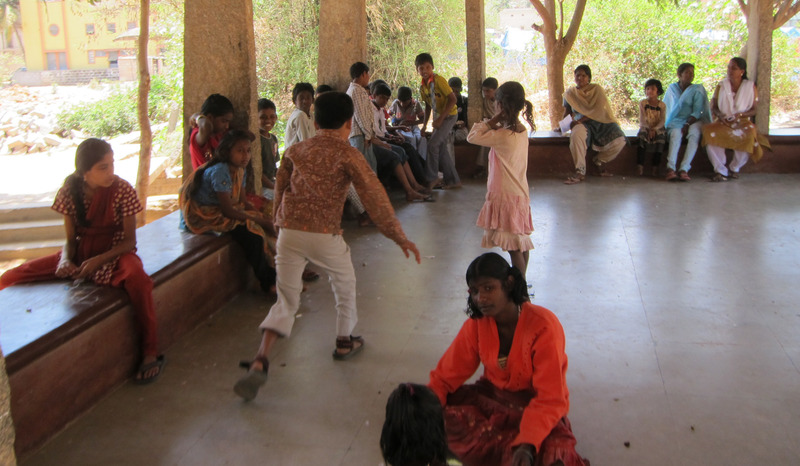 The school provides a bridge for kids who have missed out on education. 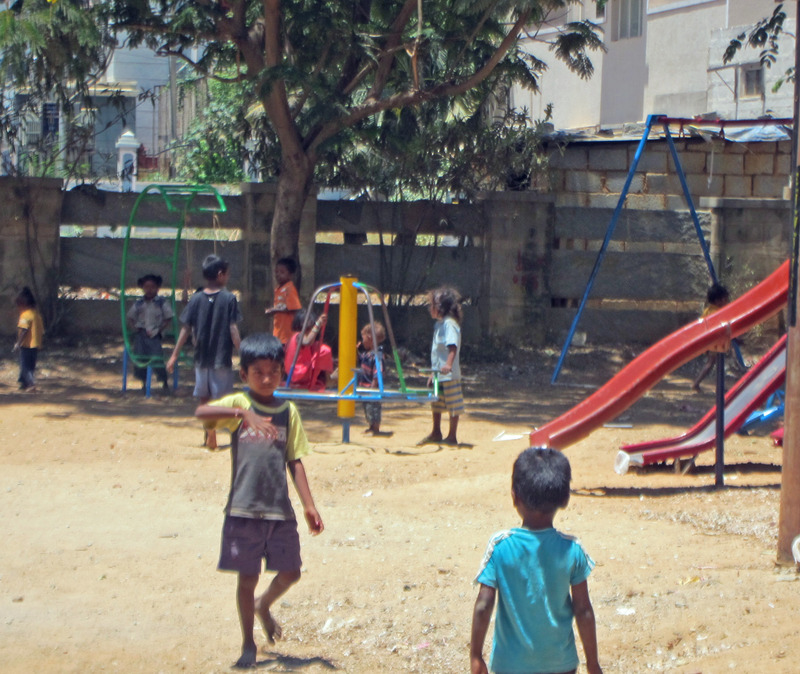 Most kids are ex child laborers. The goal is to get the kids to pass the 7th grade exams and then the 10th grade exams as private candidates so that they get caught up to age-appropriate classes. Below, the kids attending the Dream School take a lunch break. Like than Ananya and Creative, this school is unusual in not requiring/offering uniforms. I noticed that none of the classrooms in the school had desks or chairs. Kids did all of their work on the floor primarily. This science lab, below, was the only room that I saw with tables and chairs. 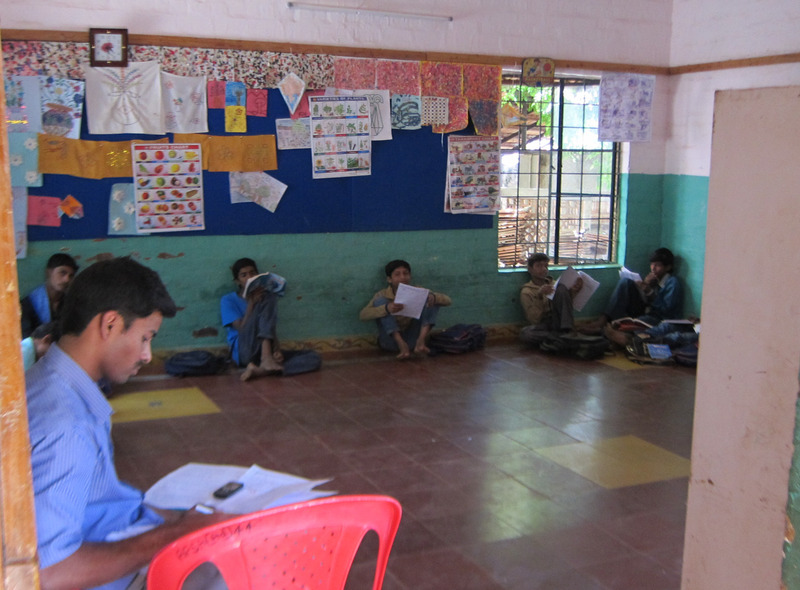 In all of the classes the kids were hard at work on independent activities. 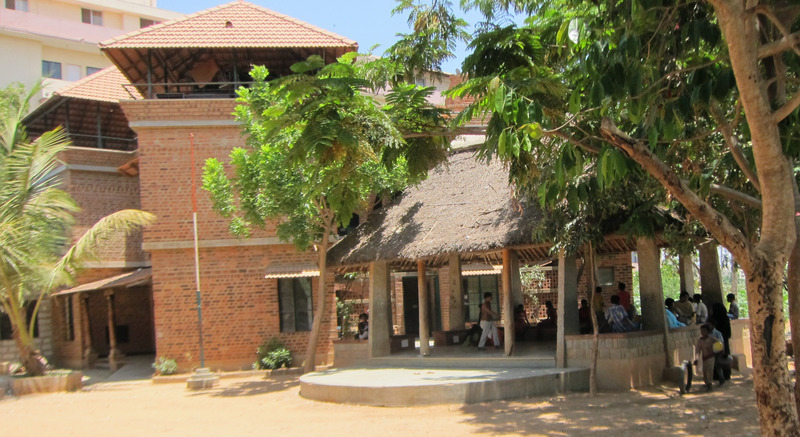 At age 14, the children can enter pre-university schools or stay on to join the vocational school (shown below). The school offers training in the areas of printmaking, tailoring, electronics and computers. 100 kids in vocational education program. 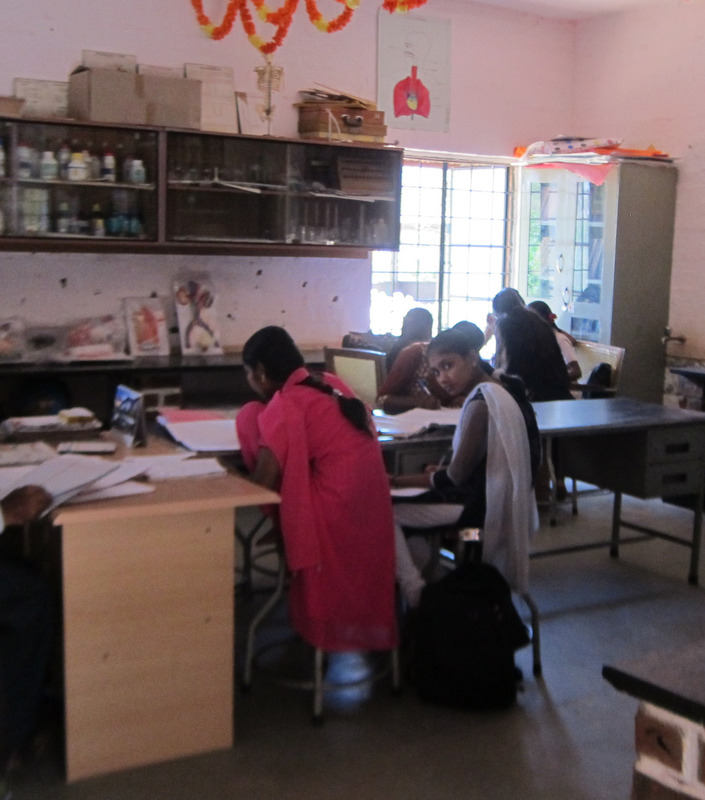 APSA also runs a working girls hostel for first year out of the vocational program. The hostel (what we call a dormitory) allows the girls to save most of their money for a rent deposit. The girls then transition to rent housing together near their work. I asked Laksha how his work has changed in the 30 years since he founded the organization. He said that before, information was enough to mobilize people. Today, organizing is harder. People are too busy. Focus is more on individual family units rather than on collective community, even in the poorest of communities. Society is lacking a common platform and mobilization is harder. Less turn out occurs now for public demonstrations and rallies. The organization is also putting more focus on placing women in leadership roles. Laksha explained, “If money is managed by women in communities, quality of life is improved and education and health are priorities. Women consider community first, men consider self-interest.” He has great concerns with the micro-credit movement, saying that it can even be more exploitative than the regular organized crime and loan sharks of communities. Instead, banks must be expected to give loans to the poor. Statistics show that the poor repays loans 90% of the time compared with the rich who only repay 40%. To make it work to fund the poor, banks need to relax some conditions such as requiring individual collateral in exchange for a group collateral system. Collectives can assume responsibilities of individual loans. APSA works with all four stakeholders to clarify the role of each according to the act. But government is not enacting the rules. National government passed law and enacted model rules. But each state must enact tis own rules that will allow implementation of the law. Karnataka has not enacted the rules yet. Suspicion is that private schools lobby is preventing the passage of the bill. APSA is holding press conferences and public hearings in the Senate Hall regarding problems with the act including: children injured in school when walls and roofs have fallen down, corporate punishment, scholarship issues. 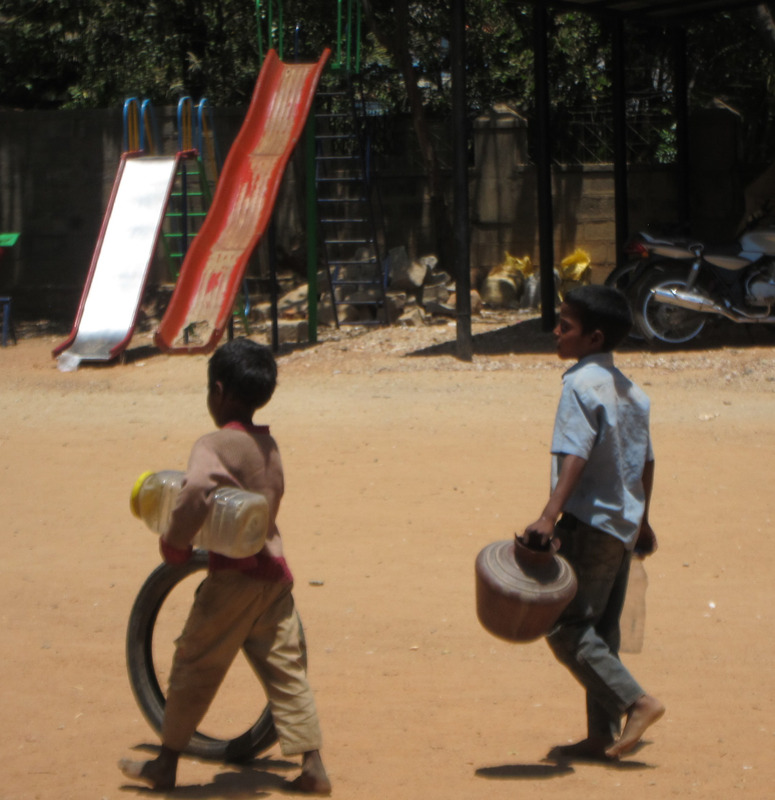 Scheduled casts are due scholarships but 2500 Bangalore kids are not accessing the money. Can’t get the money without a caste certificate. The scholarship is Rs 300 but the cost of getting the certificate is Rs 600. 1) CRC says child is birth to 18, but this law only covers age 6-14. The law should cover birth to 18. Make it comprehensive.